Installation view: “KP Brehmer. Real Capital Production,” Raven Row, 2014. Right: Auswahlbeutel Kiloware (Kiloware Assorted Bag) (1967), print on card, on melamine under plastic, 116 × 145 cm. Estate of KP Brehmer, Berlin. Photo: Marcus J. Leith. The late German artist KP Brehmer (1938–1997) is less well-known than his contemporaries Sigmar Polke and Gerhard Richter, but like them he was closely associated with Galerie René Block and with the “Capitalist Realism” strain of ambivalent pop art in the 1960s and early ’70s. 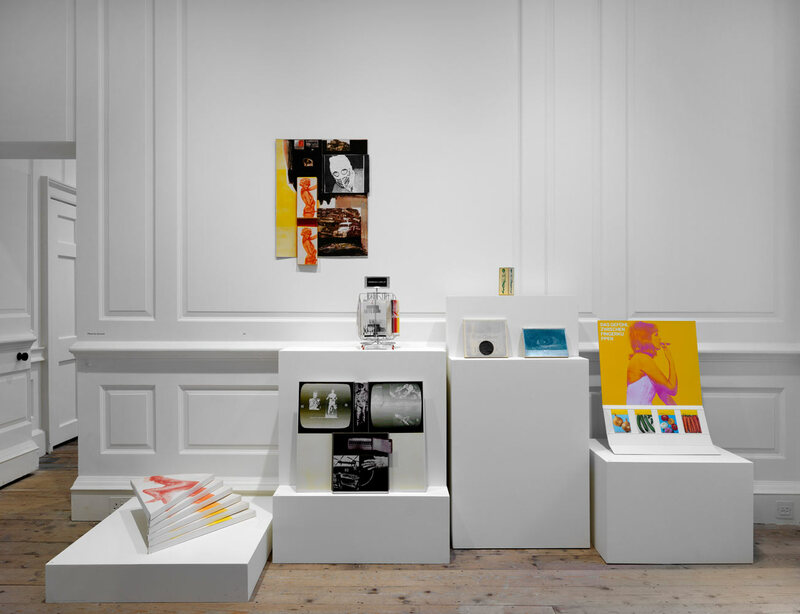 While Polke and Richter moved on from their early concerns with mass media and the political implications of consumer culture, Brehmer remained fascinated by the relationship between information, printed matter and socio-political functions. The recent exhibition at Raven Row was the artist’s first solo exhibition in the U.K. and a rare opportunity to see this substantial body of work. Raven Row is a five-year-old, nonprofit, contemporary exhibition center situated in a narrow street near the Whitechapel Art Gallery. Formed from an 18th-century house and two new, purpose-built exhibition spaces, it offers an intriguing mix of intimate domestic rooms, stripped down but full of period detail, alongside contemporary galleries—a union of old and new that echoes the dynamic of its location on the border between the East End and the City of London. Its stated aim is to “exhibit diverse work of the highest quality, often by established international artists, or those from the recent past, who have somehow escaped London’s attention.” Brehmer fits the bill precisely. 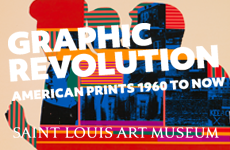 The exhibition begins with works from the early ’60s in which Brehmer cited and recombined pop imagery from advertising, commercial packaging, newspapers and pinup girls, all printed to emphasize the nature and underlying structure of the reproduced image. Work such as Aufsteller 25. Das Gefühl zwischen Fingerkuppen—Display 25 (The feeling between fingertips, 1967), which features a girl smoking a suggestive cigar above an array of seed packets for flowers and vegetables, shares certain visual properties with prints made by R.B. Kitaj and Joe Tilson around the same time. Brehmer’s work, however, seems edgier, more urgent, and his employment of the iconic pop art half-tone screen is not so aestheticized. The elements he borrows seem less distanced from their sources, as if still in circulation rather than removed and represented as art. 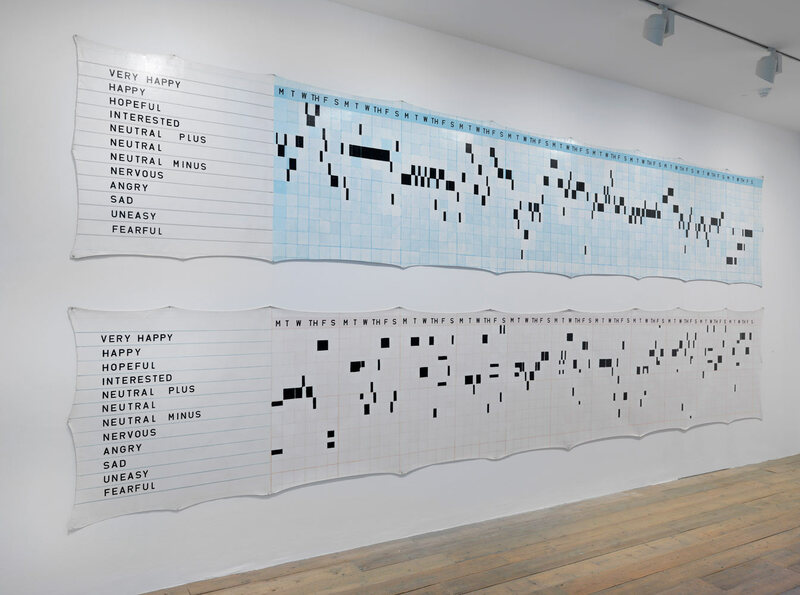 KP Brehmer, Seele und Gefühl eines Arbeiters, Whitechapel Version (Soul and Feelings of a Worker, Whitechapel Version) (1978), paint on canvas, two parts, 604 × 111 cm each. Made for “Thirteen Degrees East: Eleven Artists Working in Berlin,” Whitechapel Gallery, London, 1978. Estate of KP Brehmer, Berlin. Photo: Marcus J. Leith. 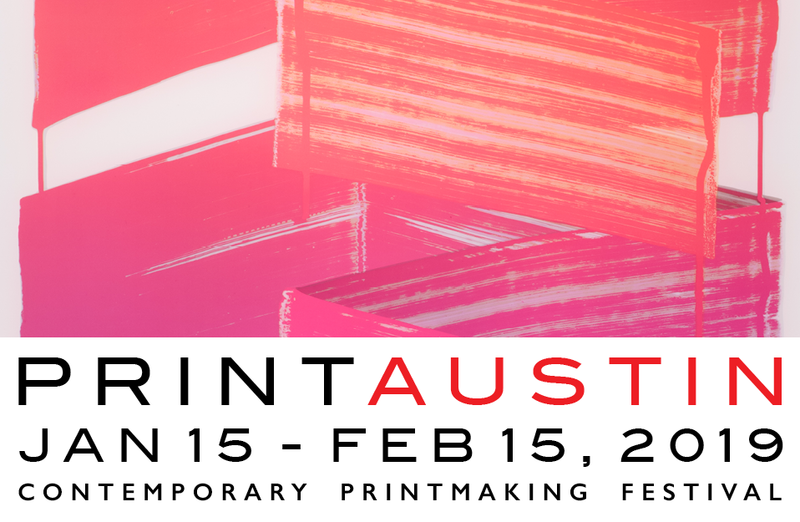 From the perspective of printmaking, this exhibition is a useful reminder that print at its most basic is a means of reproduction and distribution. Brehmer’s work feels driven by an imperative to induce change and reflection, and to this end anything unessential has been edited out. This quality of structural clarity was carried through in the exhibition design: the show was laid out thematically, each section labeled alphabetically (A–G) and each work number correspondingly (A1, A2, etc.). 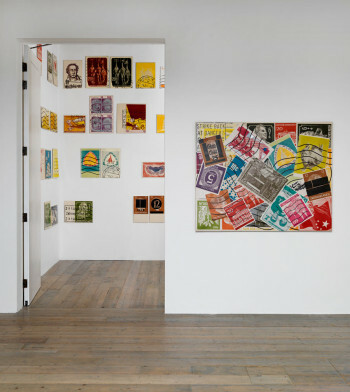 In the mid-60s, Brehmer began making enlarged reproductions of postage stamps, franked and perforated around the edges, which impose an abstract language onto the figurative images borne by the stamps, while at the same time reinforcing their identity as stamps. A number of these were featured in the exhibition, both individually and in packages such as Auswahlbeutal Kiloware (Kiloware Assorted Bag, 1967) that allude to the idea of stamp collections as representations of the world as a whole. 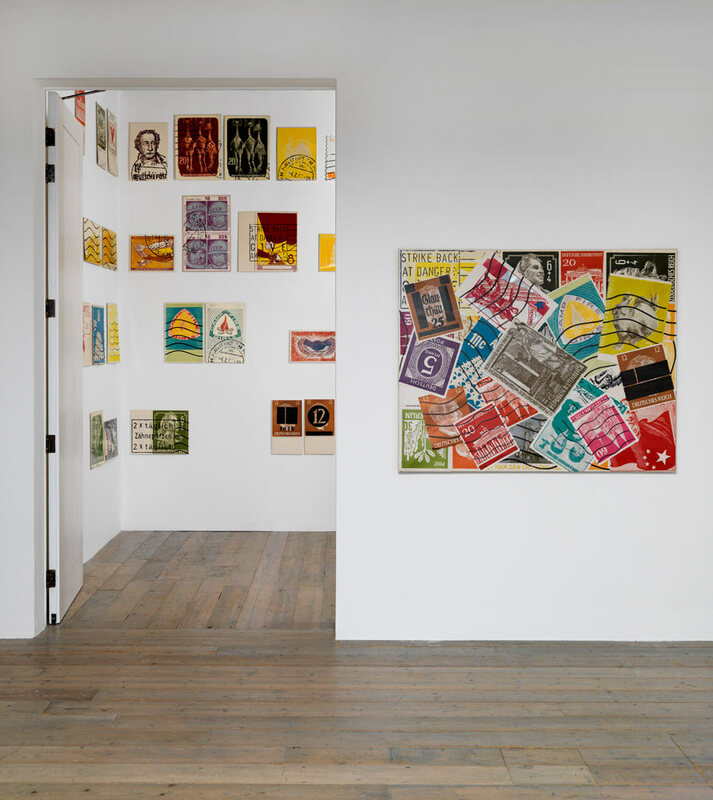 The stamps can be seen as an extension of Brehmer’s interest in everyday printed ephemera—the very visible process of photo reproduction with enlarged half-tone dots and simplified color separations connect visually to the earlier work. At the same time, the stamps inject the political and economic workings of the nation state into the printed object. Installation view: “KP Brehmer. Real Capital Production,” Raven Row, 2014. From left to right: Start 3 (1968) laminated print on card, six parts, 55 × 40 × 3 cm each; Hommage à Berlin (Homage to Berlin) (1965) print on card, metal, 40 × 20 × 23 cm. Block Collection; Aufsteller: Ohne Titel (Display: Untitled) (1965), laminated print on card, 64 × 50 × 5 cm; Ohne Titel (Untitled), (1965), laminated print on card, boxes, book, 68 × 56 × 2 cm; Schachtel ‘Für Beuys’ (Box ‘For Beuys’) (1965) laminated printed paper, collage on card, 14 × 6 × 6 cm; Schachtel (Box) (1966) laminated print on card, film stock, 22 × 23 × 2 cm; Schachtel (Box) (1966), laminated print on card, 15 × 21 × 2 cm; Aufsteller 25. Das Gefühl zwischen Fingerkuppen… (Display 25. The Feeling Between Fingertips…) (1967), print on card, plasticised surface, seed packets, 70 × 50 × 36 cm. All works courtesy Estate of KP Brehmer, Berlin, unless otherwise stated. Photo: Marcus J. Leith. Information and its representation is strikingly the subject of Korrektur der Nationalfarben, Gemessen an der Vermogensverteilung (Correction of the National Colors according to the distribution of wealth, 1970), an assemblage consisting of a draped flag and enamel plaque. In this rendition of the West German flag, the normally equal divisions into black, red and gold have been readjusted; the enamel panel provides the key: the narrow black and barely discernible red stripes represent respectively the middle class and, in the artist’s words, “the remaining households,” while the gold stripe, now swollen to 7/8 of the flag, represents big business. 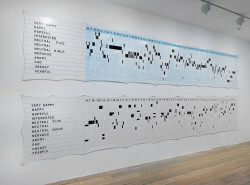 Data visualization also drives Seele und Gefühl eines Arbeiters, Whitechapel Version (Soul and Feeling of a Worker, Whitechapel Version, 1978)—two huge charts, pinned to the wall, that record the result of a questionnaire on well-being and collate responses from very happy to neutral, and on to nervous, uneasy and fearful, all blocked out like a musical score. 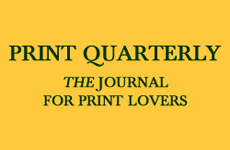 In the exhibition catalogue, Mark Fisher ponders whether this is “a genuine attempt to render workers’ emotions in graphic form, or a parody of such efforts?” The work’s poignancy lies in the implicit absurdity of attempting to quantify emotional experience, and yet today newspapers and the Internet are filled with charts purporting to identify the happiest cities on earth or the best places to live. Sometimes the directness of the questions Brehmer poses is disarming: in Form aus: Weltkrieg möglich–Weltkrieg unmöglich, 1955–1980 (World War Possible–World War Impossible 1955–80) he asks in German, “Will there be another world war in the next three years?” The resulting multimedia work on graph paper takes the form of a diagram with a blood-red dagger shape that seems to epitomize the Cold War and its collective anxiety. Prior to this exhibition, I had seen only the occasional piece by Brehmer, most often in exhibitions devoted to the innovative René Block gallery. I was struck by how undated the work appeared and how relevant the artist’s questions remain. Leaving Raven Row, where the shadows of corporate skyscrapers fall on the bijou apartments, small businesses and social housing of the East End, I wondered what kind of configuration Brehmer would have made of the British national flag.